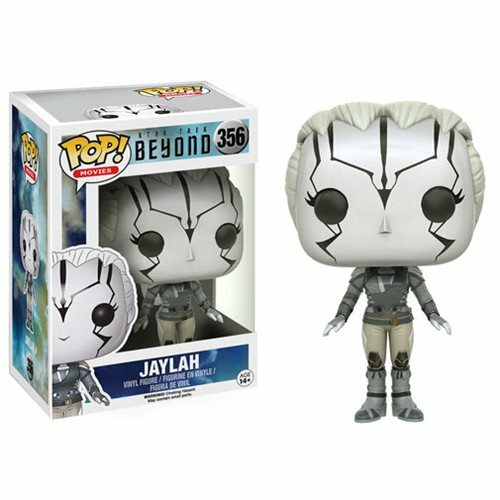 From the Star Trek Beyond movie comes this Jaylah Pop! Vinyl Figure! Featuring a Pop! Vinyl stylized look of actress Sofia Boutella, this 3 3/4-inch tall Jaylah Pop! Vinyl figure will take your collection to a place where no man has gone before! The plastic Star Trek Beyond Jaylah Pop! Vinyl Figure comes packaged in a window display box. Ages 14 and up.